Coming into the mid-year Solstice of 2018 with this beautiful planet Earth, we’d like to wish a joyful, peaceful Solstice (and beyond!) 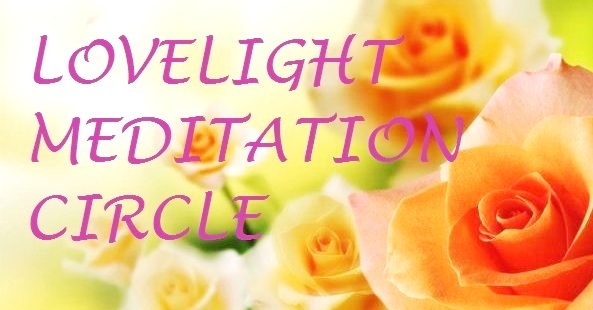 to you all, and let you know there’s a Solstice meditation (merged with this month’s DNA light activation in the sequence we’re flowing with through this year) shared via the LoveLight Meditation Circle for those interested in joining in. During the last few weeks ~ with a particular pre-Solstice focus of freeing and realigning an ancient light-grid that is an aspect of the New Earth Grid and rebirthing of the Golden Age of Gaia ~ there has been a deep ongoing clearing, transmuting and renewal of nodes in what we could call ‘the crystalline pyramid network’. This network is connected with the Avalon and Mu light-grids mentioned in the previous post, and congruent with this realignment, in recent years an awareness of the global spread of pyramids around the Earth (from the Hummingbird Pyramid in Ecuador to a pyramid found underwater near Sao Miguel Island in the Azores, to the immense Bosnian and Georgian underground pyramids, for example) has been growing, along with the realization of how widespread those ancient cultures were. You may be aware that pyramid structures focalize and increase harmonic frequencies, which can and have been attuned around the planet to nodes and Earth meridians, along with specific Solar System and galactic frequency flows, during the civilizations of Atlantis and Mu/Lemuria. As planetary vibrations went into a lower phase here, the network became distorted, and finally blocked and fragmented. The realigning of this network to its true Light is a process synchronized with the planetary shifts in vibration, guided by loving higher dimensional beings ‘above and below’, star family assisting Gaia’s transition and our fifth dimensional brothers and sisters of Agartha/Inner Earth. While tuning into this process, 3D reflected these weeks of focused transmuting and realignment with many pyramids appearing in the clouds, such as these clearly defined forms riding on a sunbow, symbolic of the light rising and connecting from Gaia’s Heart/Inner Sacred Sun. Pyramids in clouds around the Sun, with many beings/faces, June 8, 2018. Rows of pyramids have also appeared, soft-edged and slumbering, in preparation for realignment with renewal in harmony to the New Earth and higher light-grids. One of many rows of pyramids forming in clouds recently, June 8, 2018. Energies of Angelic, feline and other loving beings emanated through the photo below while unhooking entities and dark spheres from crystalline pyramids, in the process of realigning and relighting the network. Clearing of dark spheres (see upper right) and connected energies, June 8, 2018. In the same clouds on June 8th, misaligned water dragon and serpent energies could be seen being lifted and cleared from the pyramid network, to be transformed and rebirthed in healing sanctuaries of Light. On the weekend of June 1st-3rd, I was delighted to join in a beautiful heart-centered gathering with lovely friends on the ground, along with friends and family of the higher dimensions, which we’ll share about in more depth in another post ~ but in the context of the transmuting of dragon energies, here’s an appearance of star family engaged in some deep healing work as ‘dragon whisperers’. Just before taking this photo, a lightship flew overhead, passing between the stars Alpha and Beta Centauri, and at the same moment Alpha Centaurian brothers and sisters appeared on the ground (in their light-bodies/non-physical), wreathed in ‘ethereal dragon-smoke’ while communicating with the dragons and reconnecting them with their true inner nature, their highest Light. White deer antlers can also be seen in the etheric mist, a sign of the presence of my Twin Flame and overlighting Angelic energies. The dragon transformation and release of shadow energies appeared in only one frame, with the photos before and after ‘quiet’, see below. Photo taken near Chittering, Western Australia, June 2, 2018. Second photo (taken 2 seconds apart) during a deep release/healing of dragon energies by higher dimensional beings, June 2, 2018. Finally, for the Solstice we’d like to share some pictures of the trinity of nodes (crossing points in the chi lines/meridians that flow Gaia’s subtle energies through her planetary body) in the garden here, with their current sacred geometries which have aligned together as the same pattern/vibrational imprint for this Gateway ~ flowing with the universal 3-6-9 sequence of creation, expansion and rebirth. Guidance for this pattern was to ‘open the Flower of Life’…so within the flower is a 6-pointed star, with a 6-sided geometric form (hexagon) in the middle…3×6 = 18 = 9 within each ‘flower’, and 3 nodes x 3 flowers = 9, sacred number of the Angels, completion, fulfillment of cycles flowing into new birth, eternally. Like taking a breath through the heart of the flower (flower of the heart), and feeling it expand through the soft, supple equilibrium of the sixth dimensional vibration of infinite harmony. Enjoy the Solstice, beautiful friends and co-creators, rest and hold steady in the Gateway of Harmony, and let yourself bathe in the warmth of the golden light. Solstice Affirmation: We are the natural Harmony of Love, relaxing in pure trust in the Infinite Sea of Well-Being ~ We are the bliss of togetherness in the infinite family of Divine Oneness, shining in the spirit of eternal joy and sacred inspiration. And So Be It. Greetings! Today we’re focusing with a ‘planetary ascension overview’, the current energetic stage of the Earth’s shift-in-progress, with a request from the Ascension Council, the focus group of the Galactic Council with the role of overseeing higher vibrational shifts of planets and stars in this galaxy, which connects with the Earth Council beings of Love (who on Earth are often referred to as Ascended Masters & Lady Masters, Elders, Earth Guardians, the Light-keepers of Agartha, Shambhala and many sacred nodes ), Gaia’s close network through this process. We use the word ‘flurry’ in relation to the swirl of duality energies in 4D becoming more noticeable…which has appeared here with slippages of cloaking of control-oriented beings, and reflects in 3D as deeper recognition of control-based programmes and constructs at individual and collective levels. To stay in true alignment with the inflow of Ascension, the key is to anchor through our beings the constant overview of the Soul/Higher Self/Inner Divine, from the unity in universal love and peace that streams through the Fifth Dimension and higher. To feel how duality expresses distinctly in the third and fourth dimensions, in 3D it’s easy to recognize as tensions between thought structures, social and ideological constructs. In 4D, duality expresses through the contrast of standing, seeing and feeling through the inner zero-point of pure Being, with feeling bounced around in the 4D space-time spiralling energy motion. This can feel chaotic until re-aligning to inner centre, the steady ‘still point in the storm’ while the 4D shakedown and shake loose of meshed dense energies is in progress. The fluctuation of personal energies many feel at this time is a reflection of that shifting back and forth, in and out of centre. If this is how you’re feeling, breathe deeply, love and trust yourself to re-align, knowing you can, knowing the inner guiding light is always there and comes into focus when you’re able to settle in gentle kindness to yourself and others, to all beings. Your inner guiding light is a concentrated beam shining from the unity in universal love and peace that is the primary vibration of the higher dimensions and realms of Light, where Divine Love flows unfiltered by limiting constructs. Seeing and sensing from this expansive overview is beautifully symbolized in the flight of eagles and hawks in the 3D world; when a storm approaches, rather than seeking shelter as most birds and animals do, they fly upward and over the top of the storm, into the serenity of the overview (hence our star brothers and sisters have been connected symbolically with eagles, and will reflect their energies through these birds when giving a message of holding the overview of universal love). This overview constantly guides us into and through centre, into the still point within that is uninfluenced by the storm, freely soaring on the ‘divine winds of change’. An eagle flies in front of a brewing storm on May 12th 2017, keeping its course calm and steady as it rises (the eagle’s appearance was preceded by the lightship in the photo below). A ‘push-pull’ effect has been occurring recently in 4D, through the energizing of contrasting timelines. Time is a property of the fourth dimension, and to appreciate why alignments of Sun-Earth-Moon (eclipses) ~ and the placement of the Moon in general ~ has an effect that can be amplified by beings of Love, it helps to know that the Earth sits in its own localized ‘dimple’ in 4D space-time…which was theorized by Albert Einstein, and proven in 2011. The current 4D tension has various inputs, but is also being added to by two groups on and around Earth. One (well-intentioned) group is holding focus on a division into two Earths as part of the planetary ascension process via a timeline split, leaving only the highest primary timeline of the New Earth aligned. The other (control-oriented) group is holding focus on splitting time(lines) to amplify fragmentation in the 4D and 3D fields. Actually, in 4D, what is conceived of as linear time in 3D is simply parts of the vortex (spiralling time) that come into and out of view depending on one’s focus. Ascension, however, is a unifying process/event/moment where all potentials and probabilities converge and transform into true alignment, pure Oneness, wholeness…from the inner guiding light of the overview always existing (beyond time) in universal love and peace which, when focused through the 4D zero point, and anchored into this 3D vibrational field, brings transformation into wholeness. An ascending planet or star doesn’t split itself into potentials across space-time, it unifies itself from a state that is already split. As energized potentialities converge, the higher vibrating alignment always transforms lower vibrating potentials, because the more coherent vibration always transmits the stronger frequency. The closer a distorted energy comes into convergence with a higher Light, the more it reorganizes back to the natural harmonic of Love. Feel this oneness state in your Heart, and you will feel Gaia’s Ascension of her planetary body ~ all its layers that have been veiled off from each other ~ into pure loving reunion, with all of us. From the Council: We ask those of you holding visions of division as Ascension to release them now, beloved ones, and hold the convergence of all into Love, for Love is the great Oneness. The Earth is reunifying, and you are all anchoring this reunification as you focus yourselves into the oneness of your inner light and perceive it within all life. Ascension is for all life travelling here with beloved Gaia; this is the agreement of all beings in (y)our high light centre. Trust the Divine process. All who are awake in their hearts of Love will move (and are moving) through this transition in ease and joy. The many who have resistances yet are loving, will open and accelerate through the perfect Divine moment. Those who are deeply walled and distorted from Love will leave physical for the most part and receive assistance, realignment and healing. Then if they wish to return and co-create with the New Earth they will be free to do so, for they will have remembered who and what they are, and return in Love. Be the Oneness, in vision, thought, feeling and word, friends and loved ones of Earth. Thank you, we are with you. As part of this message, I’d like to share some exquisite sign language from a hawk who landed outside the window yesterday, February 23rd, while I was attuning to write this post and focusing on ‘overview’. While visions came of how our higher dimensional friends and soul expressions have responded to a request from Gaia to defuse the tension, strengthening and increasing the vibration of the high light grids around the Earth to create more stability, this lovely bird flew in and alighted on the veranda rail with its wings outstretched, the sunlight flowing golden through them. Then it preened and stretched out one foot, which it closed into a ball, as if holding onto something, before gently unrolling its toes and flying off. Today we’re introducing a chakra of the higher vibrational human template that has recently become ‘available’ to activate, open and radiate through our beings and the collective energy field around this planet ~ following the opening of a sequence of Gateways of high love frequencies through July-August, and flowing toward another deep key opening on this year’s Equinox, September 23rd. Leading into a star family mission to Kamura (see this post), I was guided to visualize the corpus collosum as a bridge flowing with soft, luminous rainbow colours, and experienced this as ‘keying up’ the transmission of messages from side to side, with focus centralized in the unifying bridge, harmonious and crystalline in its clarity. This rainbow bridge activates within a complimentary energy, crossing over another connective light stream that flows as a rainbow bridge on the vertical axis between the Heart Chakra and the Crown Chakra ~ and this newly active chakra we know as the Resurrection Chakra sits within the centrepoint of the cross of the bridges, radiating its pure Golden Light through both. The Resurrection Chakra sits in the central channel, in which the chakras function as portals through which specific vibrational qualities flow, anchor and radiate…we could call them energy centres of potential vibrational expression, and these streams of energy translate through the subtle bodies to the physical level, creatively interacting through our emotions, thoughtforms, words, actions, and bodies. For the dual structure of the human brain, activating the Resurrection Chakra focuses and radiates pure twelfth dimensional golden light through the sixth dimensional liquid lightwave, into the fifth to fourth dimensional etheric blueprint that expresses into physicality…returning and re-tuning it to the original ‘goldenprint’ of Life…the knowing of Oneness, being Oneness, in union with Divine Love. As the Resurrection Chakra interconnects with and radiates through the close grouping of chakras within the head ~ the Pineal, Pituitary, and Well of Dreams ~ we open to perceive, think and envision completely through unity consciousness, rather than identifying with a ‘side’, or fluctuating from side to side. We stay centered in the middle, steady within the complementary flows, merging, as in the centrepoint of an Infinity symbol. Through the cross of the rainbow bridges, anchored deeply in your Heart, grounded with the Heart of Gaia, and lit with the Golden Christed Light of Source, feel the pillar you are, resurrecting pure Divine Love within your whole being, radiating this Love Resurrection through your energy field, and through the collective energy field around the planet to All, in unity and unison with all beings of Love, through all the high light grids. To awaken this new chakra, begin with centering in your heart. Breathe into your heart centre deeply, and relax. Breathe in love, breathe out love. Breathe in light, breathe out light, relax… Light your Heart Star, and the Golden Apple around your torus field (see this page for details). See yourself within a pillar of Light from the Heart of Source through your Heart Star to the Heart of Gaia. Feel the warm flow of all-encompassing love from ‘above and below’ meeting in the middle, within your being, focusing to a point in your Heart centre. Open your Earth Star Chakra and Soul Star Chakra as white stars or balls of light. Open your chakras from Base to Crown, as balls of light, or perhaps as water lilies opening their petals, whatever visual you prefer so long as the light in each is clear and bright ~ starting with red in the base chakra, orange in the sacral, yellow in the solar plexus, peachy gold in the sacred heart, emerald green in the heart, rose pink in the higher heart, royal blue in the throat, light pink in the well of dreams, violet in the pineal, white light in the crown, then sky blue in the pituitary chakra just in front of the central channel at the level of your physical eyes. Now visualize a stream of soft rainbow light flowing between your Heart and Crown, and also send this stream downward through your feet, to connect with the core of the Earth/Heart of Gaia. When this feels steady and even, visualize a bridge of soft rainbow light flowing through your corpus collosum, between the left and right brain hemispheres, unifying and fine-tuning their connection in easy equilibrium. Within the crossing point of the two rainbow streams, now see a ball of golden light forming, gentle and calm. As the golden light strengthens there and grows more luminous, feel its sacred blessing, the Golden Grace of Source, radiating along the rainbow bridges, and spreading through your whole being, vibrating the deepest joy, total serenity, in gratitude and peace. If and when you feel ready to continue lighting the Resurrection Chakra regularly, let yourself become aware of your insight deepening, a new level of clarity and vividness in your inner vision, profound and vibrant, shining and serene. You are the resurrection of life, light and love, in harmonious alignment and Oneness with Source. And So Be It. With love and blessings to all walking the path of the new dawn on Earth. Our love and gratitude to Jesus Immanuel Sananda & Lady Nada, and all the beautiful Christed guides of resurrection, restoration and renewal of the unified Light, Love and Life everywhere, thank you All. *To read more about the Golden Flame of Resurrection, see The Seven Sacred Flames Meditations.